The Noetic Learning Math Contest (NLMC) is a national math problem solving contest for elementary and middle school students. to inspire them to excel in math. National contest recognition can motivate students to excel in the math. Our center offers Spring NLMC 2019 contest for grades 2 to 8 in mid-April. We also offer coaching for other national math contests such as MATHCOUNTS, Math Olympiad, AMC8 and Math Kangaroo. Hi, I am looking for a Math tutor who can prepare my 7th grade son for the competitive exams like Math Kangaroo, Mathcounts etc. Who has experience in math science competition fields. In home tutoring is preferable in San Ramon. 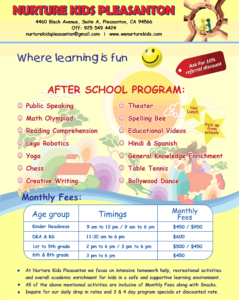 Looking for weekend math class with advanced math curriculum that is fun for your child ? Do you want your child to get recognition in national math contests? Exceptional track record in changing student attitude towards math and of success in national math contests. MOEMS Math Tournaments, Mathcounts, and AMC8. Teacher with 15 years of experience in coaching for national math contests. Contact teache…@m…com for additional information. 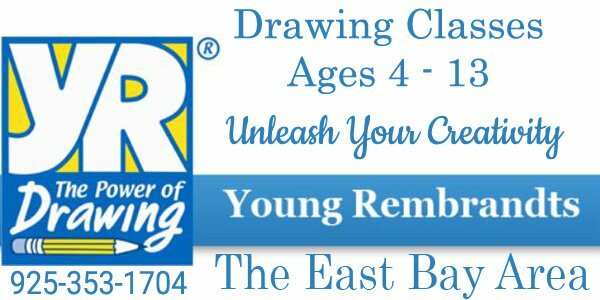 Spring classes for grades 3 to 7 start in March. Contact [email protected] for additional information. New year classes for grades 4 to 8 start in January. 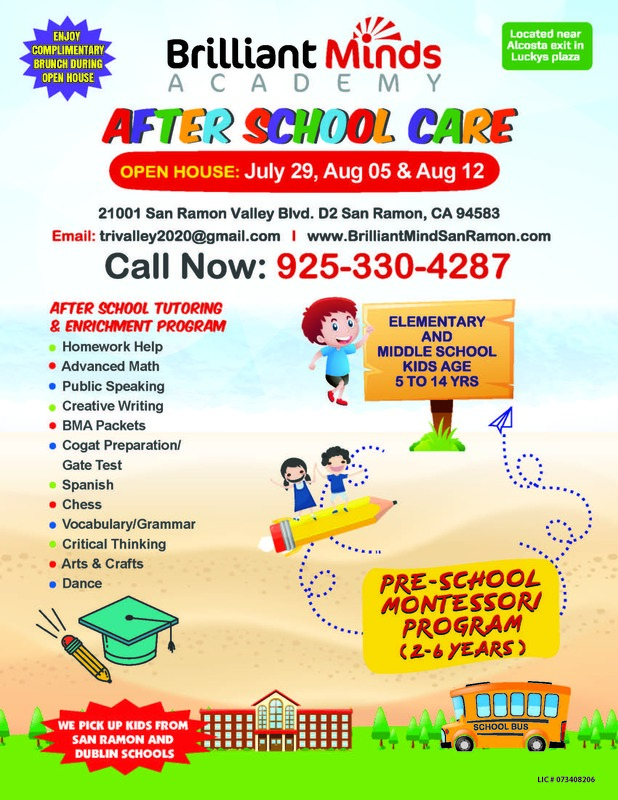 This is not just a After School Care we provide high quality education with highly qualified teachers with great curriculum in place for your kid to excel in advance level. Teacher with a Ph. D. and author of two books. Alameda County Math Tournament is a competition offered to middle schoolers on October 30th under the guidance of National Math Olympiads organization-MOEMS. Questions are similar to year-around MOEMS contests offered by the same organization. It has a format consisting of individual round, team round and a tie-breaker round that is more fun for students. We offer a small group coaching class for this and similar contests and an opportunity to take part in this contest. This is good alternative for students who do not qualify for school MOEMS teams. It is also a good preparation class for those taking part in school MOEMS teams as well. Word math in practical situations such as – Does Super Lotto or Mega Millions have better odds of winning the big prize? 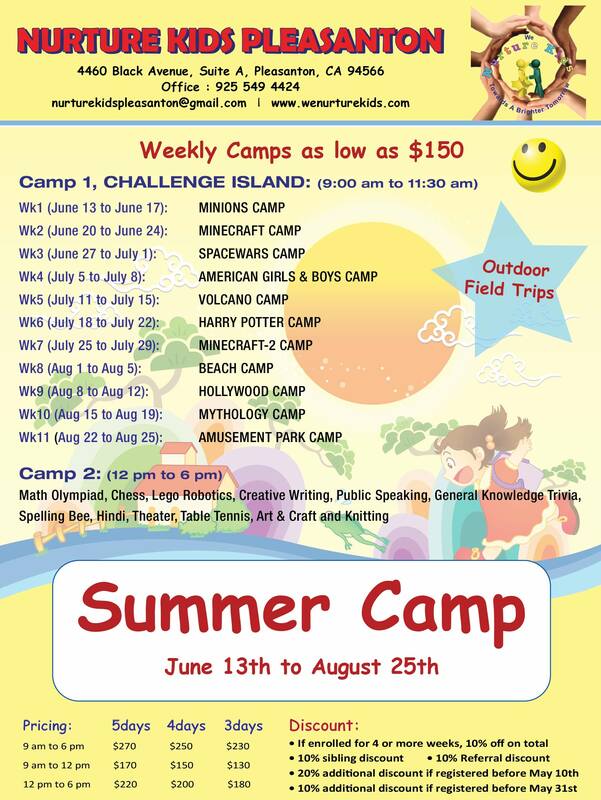 Hello Parents, If you are looking for a well balanced enrichment program and a professional camp where your child would learn hands on, look no further and contact us at Nurture Kids Pleasanton. This Summer. 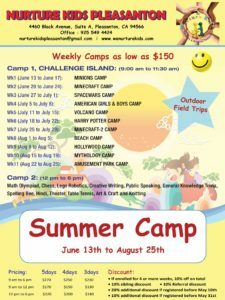 we will have a STEM based Camp where your child would be learning through the principles of Science, Technology, Engineering and Math. We’ll have fun themes like Harry Potter, Amusement Park, Space Wars, Minions and many more integrated into the program so that its not all work and no play for kids. In the course of 11 weeks, we’ll have exciting outdoor field trips, dance performance on stage at India Day Parade and a Chess, Public Speaking, Theater, Creative Writing, Math Olympiad, Knitting as well as learning coding through Lego Robotics. All of this starts at $150 per week. 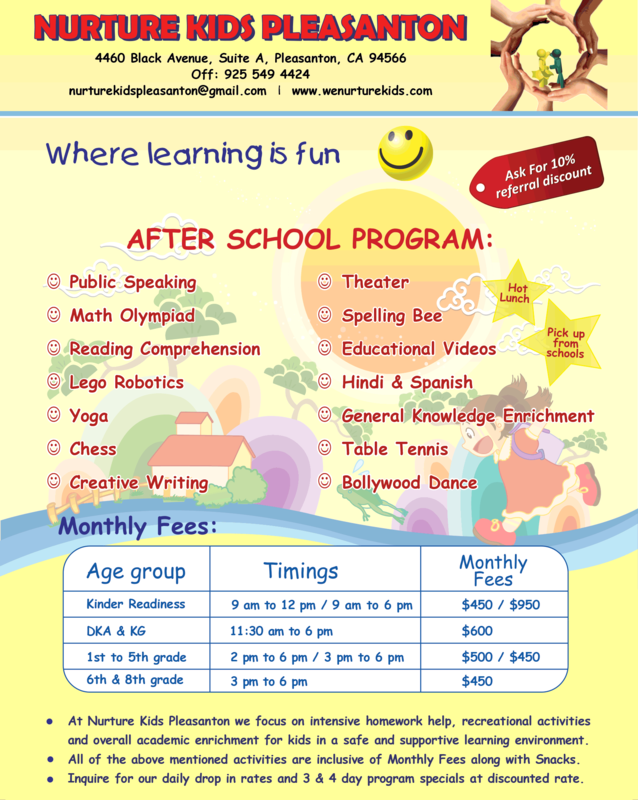 To know more and reserve your spot please call Nurture Kids Pleasanton @ 925 549 4424 or email us – nurturekidspleasanto…@g…com. Math Olympiad (MOEMS) is a popular national math contest consisting of five tests during the year that is offered to students from grades 4 to 8. About 100,000 students nationally take part in this contest consisting of challenging math problems. For local students who are in schools without MOEMS program, Koolmath will offer an opportunity to take part in the contest as a part of Koolmath Institute Team. We also provide coaching for national math contests. Contact teache…@m…com for information.